A local family entreprise expanded its existing butcher’s business to a new pig slaughtering and additional refrigerators with new sausage kitchen according tor EU hygiene rules. The store should remain. The modernization was carried out without any downtimes in existing production. 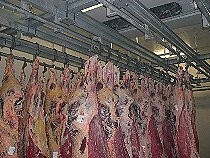 An association of butchers and meat traders realized a compact with a powerful combination slaughterhouse slaughter line and associated decompositions under cost-effective conditions for ensuring regional meat supply. Pricing is the high degree of utilization of the battle system and the low total investment with brief return-on-investment. This project was focused on the acquisition of an existing building of a public slaughterhaouse in the frame of establishing an operating company . 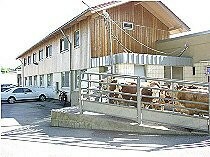 Two manufacturing groups invested into modernization and optimization of the slaughterhouse technology. 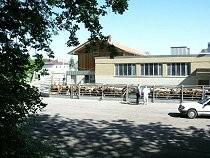 In the context of increasing demand for eco-fresh meat two local companies have designed a common slaughterhouse with a combined line for large and small cattle as part of a long-term cooperation. This project is characterized by efficient use of room and clear production processes.